This is a project that will produce an airship that is a balloon of sorts. Thales Alenia Space, the developer of the Stratobus™ airship, and Southwest Research Institute (SwRI), an international research and development provider, have signed a Memorandum of Understanding (MOU) to cooperate in the development of Stratobus™. 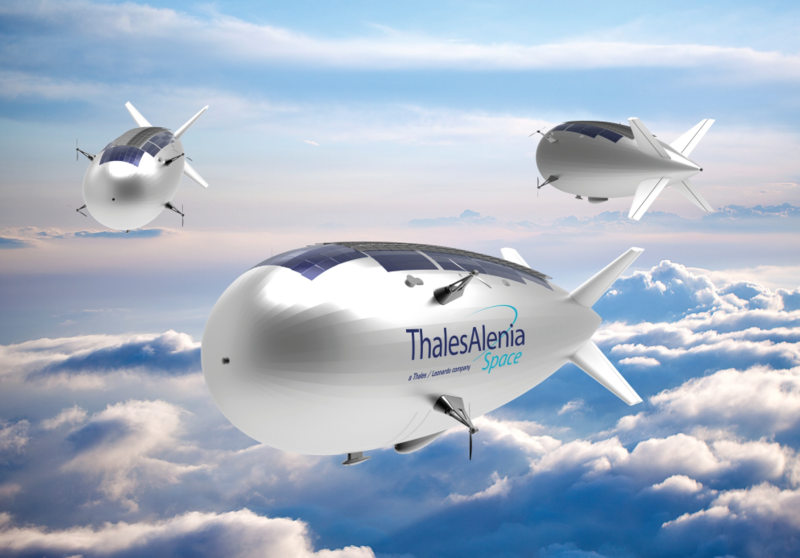 Thales Alenia Space, the developer of the Stratobus™ airship, and Southwest Research Institute have signed a Memorandum of Understanding to cooperate in the development of Stratobus™. As Thales Alenia Space continues to move forward with the design and development of its high-altitude platform station (HAPS) Stratobus™, SwRI will support Thales Alenia Space with technical advice and assistance based on SwRI’s experience with lighter-than-air technologies. Thales Alenia Space is the joint venture between Thales (67 percent) and Leonardo (33 percent), a player in the market for satellites, scientific spacecraft and orbital infrastructures. Guy Boullenger, VP Stratobus™ development at Thales Alenia Space said that he is delighted that SwRI will be cooperating with the Stratobus™ team. Their expertise, gained during their long history of building and operating balloons and airships, will be of significant value to their efforts in reaching their goals for Stratobus™. Thales Alenia Space and SwRI have established a Joint Working Committee (JWC) to manage their cooperative activities as the Stratobus™ project moves forward. Thales Alenia Space’s Stratobus™ program is a complement to satellite systems as it offers the advantage of carrying out its missions without needing an expensive launch vehicle. For instance, it could provide a permanent surveillance solution over a predefined regional coverage zone, to meet the needs of security and defense organizations.